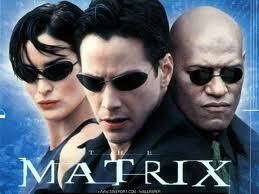 Matrix 4 and 5 hoax, really wish it was real! AICN had a report from Keanu Reeves’s keynote speech at the London school of performing Arts University. A commenter wrote in with a few highlights from the lecture, including this a little something about The Matrix. Says he met the Wachowskis... for lunch over Christmas, and stated that they had completed work on a two-picture script treatments that would see him return to the world of the matrix as Neo. Says the Wachowskis have met with Jim Cameron to discuss the pro's and con's of 3D and are looking to deliver something which has never been seen again. Keanu stated that he still has an obligation to the fans to deliver a movie worthy of the title "The Matrix" and he swears this time that the treatment will truly revolutionize the action genre like the first movie. Wachowskis are working on a movie called "Cloud Atlas" at the moment, once that concludes they will talk again. Screenrant is reporting that this whole story is a hoax. “The Senior Administrator for the London International School of Performing Arts informed me that Keanu Reeves made no appearance there.” But i so wish that there where more matrix movies coming, they are awesome.